The relationship between the COPD Assessment Test score and airflow limitation in Japan in patients aged over 40 years with a smoking history. Yoshimoto D, Nakano Y, Onishi K, Hagan G, Jones P.
Int J Chron Obstruct Pulmon Dis. 2014 Dec 9;9:1357-63. doi: 10.2147/COPD.S61265. Prognostic value of serum parathyroid hormone level in acute decompensated heart failure. Sugimoto T, Dohi K, Onishi K, Yamada T, Horiguchi M, Takamura T, Kawamura A, Seko T, Nakamura M, Kasai A, Ito M.
Prevalence of airflow limitation in outpatients with cardiovascular diseases in Japan. Onishi K, Yoshimoto D, Hagan GW, Jones PW. Int J Chron Obstruct Pulmon Dis. 2014 May 29;9:563-8. doi: 10.2147/COPD.S59962. Detection of coronary artery disease using coronary flow velocity reserve by transthoracic Doppler echocardiography versus multidetector computed tomography coronary angiography: influence of calcium score. Kakuta K, Dohi K, Yamada T, Yamanaka T, Kawamura M, Nakamori S, Nakajima H, Tanigawa T, Onishi K, Yamada N, Nakamura M, Ito M.
J Am Soc Echocardiogr. 2014 Jul;27(7):775-85. doi: 10.1016/j.echo.2014.02.012. Relation of risk factors with response to carvedilol in heart failure with preserved ejection fraction - a report from the Japanese Diastolic Heart Failure Study (J-DHF). Yamamoto K, Origasa H, Suzuki Y, Takahashi T, Shinozaki T, Watanabe T, Sakata Y, Izumi C, Taira K, Hori M; J-DHF Investigators..
J Cardiol. 2014 Jun;63(6):424-31. doi: 10.1016/j.jjcc.2013.10.014. Changes in plasma levels of B-type natriuretic peptide with acute exacerbations of chronic obstructive pulmonary disease. Nishimura K, Nishimura T, Onishi K, Oga T, Hasegawa Y, Jones PW. Myocardial perfusion reserve is impaired in patients with chronic obstructive pulmonary disease: a comparison to current smokers. Nakamori S, Onishi K, Ishida M, Nakajima H, Yamada T, Nagata M, Kitagawa K, Dohi K, Nakamura M, Sakuma H,?Ito M.
Hemodynamic and pathophysiological characteristics of intradialytic blood pressure elevation in patients with end-stage renal disease. Oosugi K, Fujimoto N, Dohi K, Machida H,?Onishi K, Takeuchi M, Nomura S, Takeuchi H, Nobori T,?Ito M. Hypertens Res. 2014 Feb;37(2):158-65. An anomalous presentation of tetralogy of Fallot with pulmonary atresia surviving to the age of 62 years. Nakamori S, Dohi K, Tanigawa T,?Onishi K,?Ito M.
Eur Heart J Cardiovasc Imaging. 2013 Nov;14(11):1119.? Quantifying longitudinal right ventricular dysfunction in patients with old myocardial infarction by using speckle-tracking strain echocardiography. Konishi K, Dohi K, Tanimura M, Sato Y, Watanabe K, Sugiura E, Kumagai N, Nakamori S, Nakajima H, Yamada T,?Onishi K, Nakamura M, Nobori T,?Ito M.
Echocardiographic estimation of pulmonary capillary wedge pressure using the combination of diastolic annular and mitral inflow velocities. Sugimoto T, Dohi K, Tanabe M, Watanabe K, Sugiura E, Nakamori S, Yamada T, Onishi K, Nakamura M, Nobori T,Ito M.
Ventricular function and dyssynchrony quantified by speckle-tracking echocardiography in patients with acute and chronic right ventricular pressure overload. Ichikawa K, Dohi K, Sugiura E, Sugimoto T, Takamura T, Ogihara Y, Nakajima H, Onishi K, Yamada N, Nakamura M, Nobori T,Ito M.
J Am Soc Echocardiogr. 2013 May;26(5):483-92.? Interrelationship between haemodynamic state and serum intact parathyroid hormone levels in patients with chronic heart failure. Sugimoto T, Dohi K,?Onishi K, Watanabe K, Sato Y, Sugiura E, Nakamori S, Nakajima H, Nakamura M,?Ito M.
Improving Drug Adherence Using Fixed Combinations Caused Beneficial Treatment Outcomes and Decreased Health-Care Costs in Patients with Hypertension. Kumagai N,?Onishi K, Hoshino K, Nakamori S, Kitai T, Yazu T, Oota M, Ueda Y, Hiraoka N, Okamoto S, Yamada T, Dohi K, Nakamura M,?Ito M.
Short-term effects of low-dose tolvaptan on hemodynamic parameters in patients with chronic heart failure. Watanabe K, Dohi K, Sugimoto T, Yamada T, Sato Y, Ichikawa K, Sugiura E, Kumagai N, Nakamori S, Nakajima H, Hoshino K, Machida H, Okamoto S,?Onishi K, Nakamura M, Nobori T,?Ito M.
J Cardiol. 2012 Dec;60(6):462-9. doi: 10.1016/j.jjcc.2012.09.002. Epub 2012 Oct 12. Impaired myocardial perfusion reserve in patients with fatty liver disease assessed by quantitative myocardial perfusion magnetic resonance imaging. Nakamori S,?Onishi K, Nakajima H, Yoon YE, Nagata M, Kurita T, Yamada T, Kitagawa K, Dohi K, Nakamura M, Sakuma H,?Ito M.
Circ J. 2012;76(9):2234-40. Epub 2012 Jun 2. Silent inflammation of an abdominal aortic aneurysm. Nakamori S, Nakamura M,?Onishi K,?Ito M.
Intern Med. 2012;51(8):995-6. Epub 2012 Apr 15. No abstract available. Comparison of coronary flow velocity reserve measurement by transthoracic Doppler echocardiography with 320-row multidetector computed tomographic coronary angiography in the detection of in-stent restenosis in the three major coronary arteries. Kakuta K, Dohi K, Yamada T, Yamanaka T, Kawamura M, Nakamori S, Nakajima H, Tanigawa T, Onishi K Yamada N, Nakamura M, Nobori T,?Ito M.
Am J Cardiol. 2012 Jul 1;110(1):13-20. doi: 10.1016/j.amjcard.2012.02.041. Epub 2012 Mar 28. Prevalence and signal characteristics of late gadolinium enhancement on contrast-enhanced magnetic resonance imaging in patients with takotsubo cardiomyopathy. Nakamori S, Matsuoka K,?Onishi K, Kurita T, Ichikawa Y, Nakajima H, Ishida M, Kitagawa K, Tanigawa T, Nakamura T,?Ito M, Sakuma H.
Circ J. 2012;76(4):914-21. Epub 2012 Jan 27. Impact of chronic kidney disease on the presence and severity of aortic stenosis in patients at high risk for coronary artery disease. Masuda C, Dohi K, Sakurai Y, Bessho Y, Fukuda H, Fujii S, Sugimoto T, Tanabe M,?Onishi K, Shiraki K,?Ito M, Nobori T.
Cardiovasc Ultrasound. 2011 Nov 16;9:31. doi: 10.1186/1476-7120-9-31. Usefulness of tissue characterization by cardiac magnetic resonance imaging as a complementary method for evaluation of cardiac malignant lymphoma. Sato K, Kurita T, Nakamori S, Ichikawa Y, Mastuoka K, Tanigawa T,?Onishi K, Sakuma H,?Ito M.
Int J Cardiol. 2012 Feb 9;154(3):e52-3. Reversible left ventricular regional non-uniformity quantified by speckle-tracking displacement and strain imaging in patients with acute pulmonary embolism. Takamura T, Dohi K,?Onishi K, Sakurai Y, Ichikawa K, Tsuji A, Ota S, Tanabe M, Yamada N, Nakamura M, Nobori T,?Ito M.
J Am Soc Echocardiogr. 2011 Jul;24(7):792-802. doi: 10.1016/j.echo.2011.03.004. Epub 2011 Apr 9. Role of haemodialytic therapy on left ventricular mechanical dyssynchrony in patients with end-stage renal disease quantified by speckle-tracking strain imaging. Murata T, Dohi K,?Onishi K, Sugiura E, Fujimoto N, Ichikawa K, Ishikawa E, Nakamura M, Nomura S, Takeuchi H, Nobori T,?Ito M.
Nephrol Dial Transplant. 2011 May;26(5):1655-61. doi: 10.1093/ndt/gfq590. Epub 2010 Sep 23. Hypertension impairs myocardial blood perfusion reserve in subjects without regional myocardial ischemia. Nakajima H,?Onishi K, Kurita T, Ishida M, Nagata M, Kitagawa K, Dohi K, Nakamura M, Sakuma H,?Ito M.
Hypertens Res. 2010 Nov;33(11):1144-9. doi: 10.1038/hr.2010.140. Epub 2010 Aug 5. Left ventricular contraction-relaxation coupling in normal, hypertrophic, and failing myocardium quantified by speckle-tracking global strain and strain rate imaging. Takamura T, Dohi K,?Onishi K, Tanabe M, Sugiura E, Nakajima H, Ichikawa K, Nakamura M, Nobori T,?Ito M.
J Am Soc Echocardiogr. 2010 Jul;23(7):747-54. doi: 10.1016/j.echo.2010.04.005. Vegetation with ventricular septal defect detected by cardiac magnetic resonance imaging. Kurita T, Tanabe M, Kitagawa K, Onishi K, Shimpo H, Sakuma H,?Ito M.
Circ J. 2010 Mar;74(3):592-3. Epub 2010 Jan 14. No abstract available. Unique myocardial fibrosis pattern by late gadolinium enhanced magnetic resonance imaging in a patient with isolated noncompaction of the ventricular myocardium. Kurita T, Matsuoka K, Hoshida K, Nakamori S, Ichikawa Y, Tanigawa T,?Onishi K, Nakamura T, Sakuma H,?Ito M.
Circ J. 2010 Feb;74(2):381-2. Epub 2009 Dec 22. No abstract available. Overexpression of myosin phosphatase reduces Ca(2+) sensitivity of contraction and impairs cardiac function. Mizutani H, Okamoto R, Moriki N, Konishi K, Taniguchi M, Fujita S, Dohi K,?Onishi K, Suzuki N, Satoh S, Makino N, Itoh T, Hartshorne DJ,?Ito M.
Circ J. 2010 Jan;74(1):120-8. Epub 2009 Dec 7. Incremental prognostic values of serum tenascin-C levels with blood B-type natriuretic peptide testing at discharge in patients with dilated cardiomyopathy and decompensated heart failure. Fujimoto N,?Onishi K, Sato A, Terasaki F, Tsukada B, Nozato T, Yamada T, Imanaka-Yoshida K, Yoshida T,?Ito M, Hiroe M.
J Card Fail. 2009 Dec;15(10):898-905. doi: 10.1016/j.cardfail.2009.06.443. Epub 2009 Aug 26. Reversible right ventricular regional non-uniformity quantified by speckle-tracking strain imaging in patients with acute pulmonary thromboembolism. Sugiura E, Dohi K,?Onishi K, Takamura T, Tsuji A, Ota S, Yamada N, Nakamura M, Nobori T,?Ito M.
J Am Soc Echocardiogr. 2009 Dec;22(12):1353-9. doi: 10.1016/j.echo.2009.09.005. Regional myocardial perfusion reserve determined using myocardial perfusion magnetic resonance imaging showed a direct correlation with coronary flow velocity reserve by Doppler flow wire. Kurita T, Sakuma H,?Onishi K, Ishida M, Kitagawa K, Yamanaka T, Tanigawa T, Kitamura T, Takeda K,?Ito M.
Eur Heart J. 2009 Feb;30(4):444-52. doi: 10.1093/eurheartj/ehn521. Epub 2008 Dec 19. Conventional therapy with an ACE inhibitor diminishes left ventricular dyssynchrony during the progression of heart failure. Kurita T,?Onishi K, Dohi K, Takamura T, Fujimoto N, Tanigawa T, Imanaka-Yoshida K, Wada H, Nobori T,?Ito M.
Int J Cardiol. 2010 Apr 1;140(1):48-54. doi: 10.1016/j.ijcard.2008.10.047. Epub 2008 Dec 7. Serum intact parathyroid hormone levels predict hospitalisation for heart failure. Sugimoto T, Tanigawa T,?Onishi K, Fujimoto N, Matsuda A, Nakamori S, Matsuoka K, Nakamura T, Koji T,?Ito M.
Heart. 2009 Mar;95(5):395-8. doi: 10.1136/hrt.2008.147652. Epub 2008 Nov 10. Hemodynamic characteristics of patients with diastolic heart failure and hypertension. Fujimoto N,?Onishi K, Dohi K, Tanabe M, Kurita T, Takamura T, Yamada N, Nobori T,?Ito M.
Hypertens Res. 2008 Sep;31(9):1727-35. doi: 10.1291/hypres.31.1727. Response to: Study of Left Ventricular Long Axis Function in Patients with Hypertensive Response to Exercise. Takamura T,?Onishi K, Sugimoto T, Kurita T, Fujimoto N, Dohi K, Tanigawa T, Isaka N, Nobori T,?Ito M.
Hypertens Res. 2008;31(7):1486. No abstract available. Elevated levels of soluble fibrin in patients with venous thromboembolism. Tsuji A, Wada H, Matsumoto T, Abe Y, Ota S, Yamada N, Sugiyama T, Sudo A,?Onishi K, Nakatani K, Uchida A,?Ito M, Suzuki K, Nobori T.
Int J Hematol. 2008 Nov;88(4):448-53. doi: 10.1007/s12185-008-0173-5. Epub 2008 Oct 4. Biventricular pacing worsened dyssynchrony in heart failure patient with right-bundle branch block. Tanabe M, Dohi K,?Onishi K, Nakata T, Sato Y, Nakajima H, Takamura T, Miyahara M, Nakamura M, Takeda K,?Ito M.
Int J Cardiol. 2010 Feb 4;138(3):e47-50. doi: 10.1016/j.ijcard.2008.06.063. Epub 2008 Aug 15. Exaggerated hypertensive response to exercise in patients with diastolic heart failure. Kato S,?Onishi K, Yamanaka T, Takamura T, Dohi K, Yamada N, Wada H, Nobori T,?Ito M.
Hypertens Res. 2008 Apr;31(4):679-84. doi: 10.1291/hypres.31.679. Molecular diagnosis of prosthetic valve endocarditis with aorto-right atrial fistula. Takamura T, Tanabe M,?Onishi K, Yamazato S, Nakamura A, Onoda K, Wada H, Shimpo H, Nobori T,?Ito M.
Int J Cardiol. 2009 Jun 12;135(1):e13-5. doi: 10.1016/j.ijcard.2008.03.029. Epub 2008 Jun 25. Tenascin-C may aggravate left ventricular remodeling and function after myocardial infarction in mice. Nishioka T,?Onishi K Shimojo N, Nagano Y, Matsusaka H, Ikeuchi M, Ide T, Tsutsui H, Hiroe M, Yoshida T,?Imanaka-Yoshida K.
Fujimoto N, Onishi K, Sato A, Terasaki F, Tsukada B, Nozato T, Yamada T,?Imanaka-Yoshida K, Yoshida T, Ito M, Hiroe M.
Role of radial strain and displacement imaging to quantify wall motion dyssynchrony in patients with left ventricular mechanical dyssynchrony and chronic right ventricular pressure overload. Dohi K,?Onishi K, Gorcsan J 3rd, Lopez-Candales A, Takamura T, Ota S, Yamada N,?Ito M. Am J Cardiol. 2008 Apr 15;101(8):1206-12. doi: 10.1016/j.amjcard.2007.11.077. Epub 2008 Mar 4. Tsuji A,?Wada H, Matsumoto T, Abe Y, Ota S, Yamada N, Sugiyama T, Sudo A,?Onishi K, Nakatani K, Uchida A, Ito M, Suzuki K, Nobori T.
Patients with a hypertensive response to exercise have impaired left ventricular diastolic function. Hypertens Res. 2008 Feb;31(2):257-63. doi: 10.1291/hypres.31.257. Correlation between late gadolinium enhancement and diastolic function in hypertrophic cardiomyopathy assessed by magnetic resonance imaging. Motoyasu M, Kurita T,?Onishi K, Uemura S, Tanigawa T, Okinaka T, Takeda K, Nakano T,?Ito M, Sakuma H.
A case of clover-shaped left ventricular non-compaction. Kurita T,?Onishi K, Ogawa T, Kasai A, Sakuma H,?Ito M.
Eur Heart J. 2008 Feb;29(4):569. Epub 2007 Oct 30. No abstract available. Two cases of dilated cardiomyopathy with right ventricular wall degeneration demonstrated by late gadolinium enhanced MRI. Kurita T, Onishi K Motoyasu M, Kitamura T, Takamura T, Fujimoto N, Tanabe M, Dohi K, Tanigawa T, Isaka N,?Ito M, Sakuma H.
Int J Cardiol. 2008 Sep 16;129(1):e21-3. Epub 2007 Aug 8. Eplerenone attenuates myocardial fibrosis in the angiotensin II-induced hypertensive mouse: involvement of tenascin-C induced by aldosterone-mediated inflammation. Nishioka T, Suzuki M,?Onishi K, Takakura N, Inada H, Yoshida T, Hiroe M,?Imanaka-Yoshida K.
J Cardiovasc Pharmacol. 2007 May;49(5):261-8. Higher serum tenascin-C levels reflect the severity of heart failure, left ventricular dysfunction and remodeling in patients with dilated cardiomyopathy. Terasaki F, Okamoto H,?Onishi K, Sato A, Shimomura H, Tsukada B,?Imanaka-Yoshida K, Hiroe M, Yoshida T, Kitaura Y, Kitabatake A; Study Group for Intractable Diseases by a Grant from the Ministry of Health, Labor and Welfare of Japan. Impact of heart rate on mechanical dyssynchrony and left ventricular contractility in patients with heart failure and normal QRS duration. Kurita T,?Onishi K, Dohi K, Tanabe M, Fujimoto N, Tanigawa T, Setsuda M, Isaka N, Nobori T,?Ito M.
Eur J Heart Fail. 2007 Jun-Jul;9(6-7):637-43. Epub 2007 Apr 27. Improvement of left ventricular mechanical dyssynchrony associated with restoration of left ventricular function in a patient with fulminant myocarditis and complete left bundle branch block. Takamura T, Dohi K,?Onishi K, Kurita T, Tanabe M, Tanigawa T, Isaka N,?Ito M.
Int J Cardiol. 2008 Jun 23;127(1):e8-11. Epub 2007 Apr 12. Single beat determination of regional myocardial strain measurements in patients with atrial fibrillation. 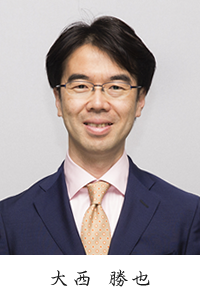 Yamanaka-Funabiki K,?Onishi K, Tanabe M, Dohi K,?Ito M, Ohte N, Nobori T, Nakano T.
J Am Soc Echocardiogr. 2006 Nov;19(11):1332-7. Antique SVG with two humps: a case of two giant aneurysms of single saphenous vein bypass graft. Kurita T, Kitamura T, Yamanaka T, Tanabe M, Dohi K, Tanigawa T,?Onishi K,?Ito M, Isaka N, Nakano T.
Int J Cardiol. 2007 Mar 20;116(2):e68-70. Epub 2006 Oct 30. Force- and relaxation-frequency relations in patients with diastolic heart failure. Yamanaka T,?Onishi K, Tanabe M, Dohi K, Funabiki-Yamanaka K, Fujimoto N, Kurita T, Tanigawa T, Kitamura T,?Ito M, Nobori T, Nakano T.
Am Heart J. 2006 Nov;152(5):966.e1-7. Cardiac malignant lymphoma with atrial arrhythmias. Hirabayashi T, Tanabe M,?Onishi K, Tanigawa T, Kitamura T, Yamada N,?Ito M, Isaka N, Nakano T.
Int J Cardiol. 2007 Jan 8;114(2):E42-4. Epub 2006 Oct 20. No abstract available. A simple technique to determine thrombopoiesis level using immature platelet fraction (IPF). Abe Y,?Wada H, Tomatsu H, Sakaguchi A, Nishioka J, Yabu Y, Onishi K, Nakatani K, Morishita Y, Oguni S, Nobori T.
Thromb Res. 2006;118(4):463-9. Epub 2005 Oct 25. Newly diagnosed acute aortic dissection: characteristics, treatment modifications, and outcomes. Sato F, Kitamura T, Kongo M, Okinaka T, Onishi K,?Ito M, Isaka N, Nakano T.
Int Heart J. 2005 Nov;46(6):1083-98. Elevated plasma levels of fibrin degradation products by granulocyte-derived elastase in patients with disseminated intravascular coagulation. Matsumoto T,?Wada H, Nobori T, Nakatani K,?Onishi K, Nishikawa M, Shiku H, Kazahaya Y, Sawai T, Koike K, Matsuda M.
Clin Appl Thromb Hemost. 2005 Oct;11(4):391-400. Thrombomodulin accelerates activated protein C production and inhibits thrombin generation in the plasma of disseminated intravascular coagulation patients. Wada H, Sakakura M, Kushiya F, Nisikawa M, Onishi K, Nakatani K, Shiku H, Nobori T.
Blood Coagul Fibrinolysis. 2005 Jan;16(1):17-24. Effects of human atrial natriuretic peptide on cardiac function and hemodynamics in patients with high plasma BNP levels. Nakajima K,?Onishi K, Dohi K, Tanabe M, Kurita T, Yamanaka T,?Ito M, Isaka N, Nobori T, Nakano T.
Int J Cardiol. 2005 Oct 10;104(3):332-7. Assessment of left ventricular systolic function in patients with chronic atrial fibrillation and dilated cardiomyopathy using the ratio of preceding to prepreceding R-R intervals. Tanabe M,?Onishi K, Dohi K, Kitamura T,?Ito M, Nobori T, Nakano T.
Int J Cardiol. 2006 Apr 4;108(2):197-201. Epub 2005 Jun 2. Nitroglycerin improves left ventricular relaxation by changing systolic loading sequence in patients with excessive arterial load. Fujimoto N, Onishi K, Tanabe M, Dohi K, Funabiki K, Kurita T, Yamanaka T, Nakajima K,?Ito M, Nobori T, Nakano T.
J Cardiovasc Pharmacol. 2005 Mar;45(3):211-6. Electron microscopic findings of cardiomyopathy with limb girdle muscular dystrophy. Funabiki K, Onishi K, Tanabe M, Kuru S, Konagaya M, Sato F,?Ito M, Nakano T. Int J Cardiol. 2005 Jan;98(1):161-2. Change in filling pattern with preload reduction reflects left ventricular relaxation. Tanabe M, Onishi K, Dohi K, Funabiki K, Koji T, Kitamura T,?Ito M, Nobori T, Nakano T.
Int J Cardiol. 2005 Jan;98(1):67-72. A case of acute myocardial infarction caused by left main trunk disease with dilated cardiomyopathy. Ogawa E, Okinaka T, Motoyasu M, Tanabe M, Iwasaki H, Kitamura T,?Onishi K, Isaka N,?Nakano T.
Int J Cardiol. 2005 Feb 28;98(3):507-8. Zhang ZS, Cheng HJ,?Onishi K Ohte N, Wannenburg T,?Cheng CP. J Pharmacol Exp Ther. 2005 Dec;315(3):1203-11. Epub 2005 Aug 31. Intravascular hemolysis in aortic stenosis. Tsuji A, Tanabe M, Onishi K, Kitamura T, Okinaka T,?Ito M, Isaka N, Nakano T.
Two cases of giant aneurysm in coronary-pulmonary artery fistula associated with atherosclerotic change. Fujimoto N,?Onishi K, Tanabe M, Koji T, Omichi C, Kato S, Kawasaki A, Nakano T,?Ito M.
Int J Cardiol. 2004 Dec;97(3):577-8. Combined angiotensin receptor blocker and ACE inhibitor on myocardial fibrosis and left ventricular stiffness in dogs with heart failure. Funabiki K,?Onishi K, Dohi K, Koji T, Imanaka-Yoshida K,?Ito M, Wada H, Isaka N, Nobori T, Nakano T.
Am J Physiol Heart Circ Physiol. 2004 Dec;287(6):H2487-92. Candesartan prevents myocardial fibrosis during progression of congestive heart failure. Onishi K Dohi K, Koji T, Funabiki K, Kitamura T, Imanaka-Yoshida K,?Ito M, Nobori T, Nakano T.
J Cardiovasc Pharmacol. 2004 Jun;43(6):860-7. Bilateral giant coronary aneurysms diagnosed non-invasively by dynamic magnetic resonance imaging. Tanabe M,?Onishi K, Hiraoka N, Kitamura T, Okinaka T,?Ito M, Isaka N, Nakano T.
Int J Cardiol. 2004 Apr;94(2-3):341-2. Effective cardiac resynchronization after Dor procedure and mitral annuloplasty. Tanabe M,?Onishi K, Kitamura T, Okinaka T,?Ito M, Isaka N, Hioki I, Onoda K, Yada I, Nakano T. Can J Cardiol. 2004 Mar 15;20(4):449-51. Alternans decay of postextrasystolic potentiation in human left ventricle. Tanabe M,?Onishi K, Dohi K,?Ito M, Nakano T, Suga H.
Jpn J Physiol. 2004 Feb;54(1):87-91. A case of inverted left atrial appendage mimicking a tumor. Motoyasu M, Sakuma H, Iwasaki H,?Onishi K, Okinaka T, Isaka N, Takeda K,?Nakano T.
J Comput Assist Tomogr. 2003 Jul-Aug;27(4):501-4. Addition of angiotensin II receptor antagonist to an ACE inhibitor in heart failure improves cardiovascular function by a bradykinin-mediated mechanism. Koji T,?Onishi K Dohi K, Okamoto R, Tanabe M, Kitamura T,?Ito M, Isaka N, Nobori T, Nakano T.
J Cardiovasc Pharmacol. 2003 Apr;41(4):632-9. Activation of RhoA and inhibition of myosin phosphatase as important components in hypertension in vascular smooth muscle. Seko T,?Ito M, Kureishi Y, Okamoto R, Moriki N,?Onishi K, Isaka N, Hartshorne DJ, Nakano T.
Circ Res. 2003 Mar 7;92(4):411-8. Epub 2003 Feb 6. Circadian rhythm of blood pressure is transformed from a dipper to a non-dipper pattern in shift workers with hypertension. Kitamura T,?Onishi K, Dohi K, Okinaka T,?Ito M, Isaka N, Nakano T.
J Hum Hypertens. 2002 Mar;16(3):193-7. Plasma levels of heparin cofactor II (HCII) and thrombin-HCII complex in patients with disseminated intravascular coagulation. Noda A,?Wada H, Kusiya F, Sakakura M, Onishi K, Nakatani K, Gabazza EC, Asahara N, Tsukada M, Nobori T, Shiku H.
Clin Appl Thromb Hemost. 2002 Jul;8(3):265-71. Effects of therapeutic doses of human atrial natriuretic peptide on load and myocardial performance in patients with congestive heart failure. Mizuno O,?Onishi K, Dohi K, Motoyasu M, Okinaka T,?Ito M, Isaka N, Nakano T.
Am J Cardiol. 2001 Oct 15;88(8):863-6. Multiple pulmonary emboli with pulmonary hypertension caused by effort thrombosis and effective balloon venoplasty of the subclavian vein. Isaka N, Yamada N, Araki S, Onishi K, Motoyasu M, Okinaka T,?Ito M, Nakano T.
Jpn Circ J. 2001 Oct;65(10):920-2. Functional role of endogenous endothelin-1 in congestive heart failure treated with angiotensin II receptor antagonist. Dohi K,?Onishi K Kitamura T, Okinaka T,?Ito M, Isaka N, Nakano T.
Jpn J Physiol. 2001 Aug;51(4):445-53. Upregulation of functional beta(3)-adrenergic receptor in the failing canine myocardium. Cheng HJ, Zhang ZS,?Onishi K, Ukai T, Sane DC,?Cheng CP. Circ Res. 2001 Sep 28;89(7):599-606. The role of ANG II and endothelin-1 in exercise-induced diastolic dysfunction in heart failure. Cheng CP, Ukai T,?Onishi K, Ohte N, Suzuki M, Zhang ZS, Cheng HJ, Tachibana H, Igawa A, Little WC. Am J Physiol Heart Circ Physiol. 2001 Apr;280(4):H1853-60. The negative inotropic effect of beta3-adrenoceptor stimulation in the beating guinea pig heart. Kitamura T,?Onishi K Dohi K, Okinaka T, Isaka N,?Nakano T.
J Cardiovasc Pharmacol. 2000 May;35(5):786-90. Endogenous endothelin-1 depresses left ventricular systolic and diastolic performance in congestive heart failure. Onishi K, Ohno M, Little WC,?Cheng CP. J Pharmacol Exp Ther. 1999 Mar;288(3):1214-22. Functional effects of endogenous bradykinin in congestive heart failure. Cheng CP,?Onishi K, Ohte N, Suzuki M, Little WC. J Am Coll Cardiol. 1998 Jun;31(7):1679-86. MCI-154, a Ca2+ sensitizer, decreases the oxygen cost of contractility in isolated canine hearts. Onishi K, Sekioka K, Ishisu R, Abe Y, Tanaka H, Nakamura M, Ueda Y,?Nakano T.
Am J Physiol. 1997 Oct;273(4 Pt 2):H1688-95. Abe Y, Sekioka K, Ishisu R, Onishi K, Ueda Y,?Nakano T.
J Pharmacol Exp Ther. 1996 Oct;279(1):47-55. Differential effects of EMD-53998 on calcium-pressure relationship in normal and ischemic guinea pig heart. Ishisu R, Abe Y,?Onishi K Sekioka K,?Nakano T.
Am J Physiol. 1996 Jul;271(1 Pt 2):H311-9. Decrease in oxygen cost of contractility during hypocapnic alkalosis in canine hearts. Onishi K, Sekioka K, Ishisu R, Tanaka H, Nakamura M, Ueda Y,?Nakano T.
Am J Physiol. 1996 Jun;270(6 Pt 2):H1905-13. Changes in calcium transient and left ventricular function during positive inotropic stimulation and myocardial ischemia in indo-1-loaded beating guinea pig heart. Ishisu R, Abe Y, Onishi K, Ueda Y, Sekioka K,?Nakano T.
J Pharmacol Toxicol Methods. 1996 Feb;35(1):55-61. Calcium sensitization in perfused beating guinea pig heart by a positive inotropic agent MCI-154. Abe Y, Ishisu R,?Onishi K, Sekioka K, Narimatsu A,?Nakano T.
J Pharmacol Exp Ther. 1996 Feb;276(2):433-9.